The Phalcon framework has already helped create hundreds of thousands of sites. Programmers note the flexibility of the solution and the ease of writing code. However, after launching the site, there is often a matter of its further optimization. Phalcon itself does not provide a tool for image reduction and optimization of download speed. To complete the task, you need to install additional software on the site. OptiPic image compression plugin for Phalcon works with jpg and png formats. It optimizes the image size through to its own algorithm. The average image reduction in Phalcon is 70%. The whole process runs in the background. The image-reduction plug-in for Phalcon does not require a long setup. It finds and optimizes images on the by itself. Compressing images in Phalcon allows accelerating the loading of the pages of the site and reducing the space occupied by files. The image reduction plugin for Phalcon has proved its operating efficiency by coping with image optimization for thousands of sites. How can optimizing images for Phalcon speed up a site? 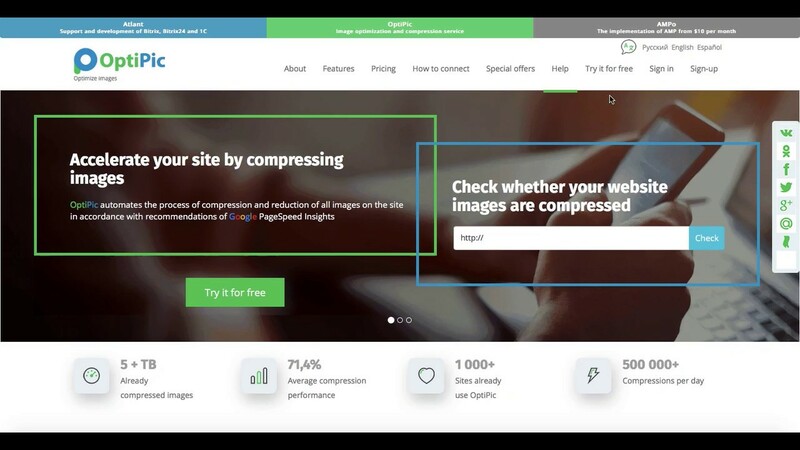 How to get started with OptiPic service for Phalcon for image compression?